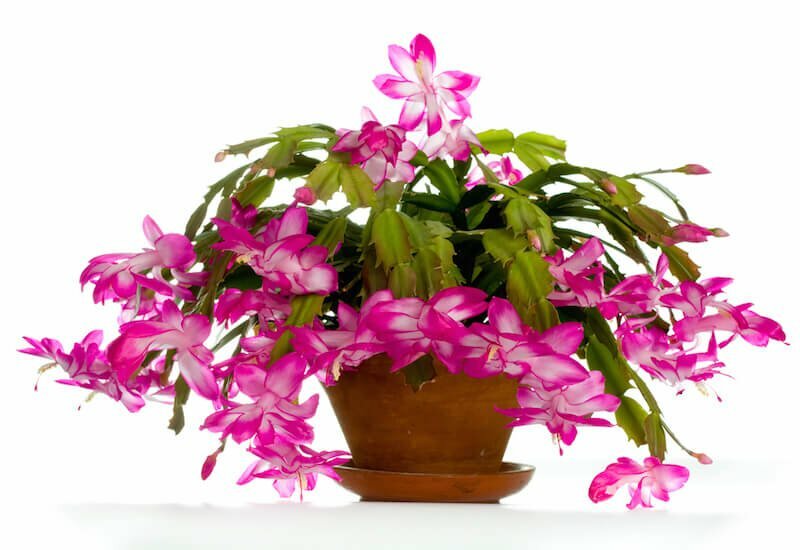 Thanksgiving Cactus (Schlumbergera truncata) is a popular, winter-flowering cactus houseplant. It has leafless green stems which act as photosynthetic organs. The stems are composed of strongly flattened segments, which have two or three teeth of varying shapes along their edges and at the ends. The ends of the stems are cut off rather than pointed. Individual segments are about 4–6 cm long by 1.5–3.5 cm wide. Blossom colors range from pink, lavenders, and reds through to oranges, yellows, and whites. 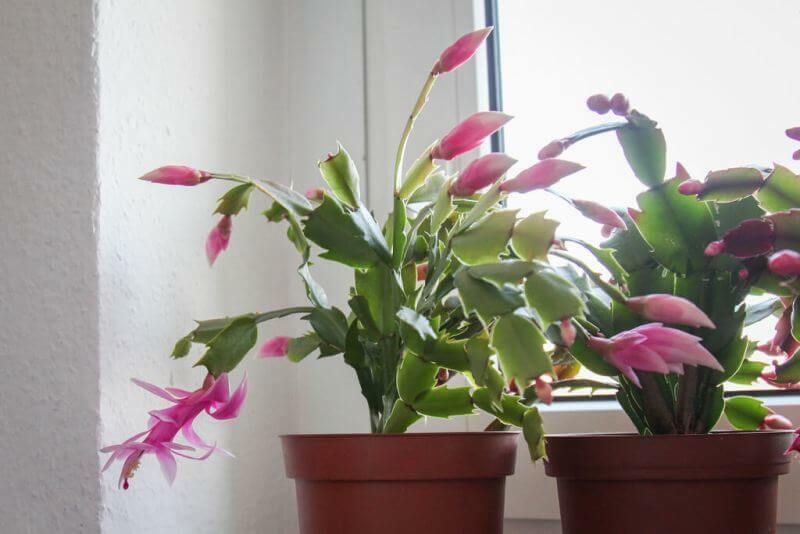 Schlumbergera truncata blossoms through autumn and winter. Synonyms: Cactus truncatus, Cereus truncatus, Epiphyllum truncatum, Zygocactus truncatus, Epiphyllum altensteinii, Zygocactus altensteinii, Epiphyllum bridgesii, Epiphyllum delicatum, Zygocactus delicatum, Epiphyllum ruckeri, Epiphyllum ruckerianum. It thrives best in the bright, but indirect light. Direct sunlight should be avoided, as it can cause brown spots. It prefers to grow in neutral, Well-drained soil. Use a mixture of 1 part potting soil and 1 part fine-grade fir bark. To set flower buds, the plant needs cool 60°F-65°F/16°C-18°C days and 45°F-55°F/7°C-13°C nights. Once buds set, 70°F-75°F/21°C-24°C days and 60°F-70°F/16°C-21°C nights. Water regularly, keep the soil evenly moist but not soggy. After flowering, water sparingly until new growth begins in spring. Stems will shrivel or wilt if the roots are too dry. Fertilize every 2 weeks after the bloom period with a balanced 10-10-10 fertilizer, and dilute to half strength. It prefers moderate to high humidity, preferably 50% or above. It can be easily propagated by stem cuttings. Take stem cuttings from one to four segments in spring or early summer. Allow the cut ends to dry for 24 hours before placing upright in moist perlite. Rooting occurs between 3-4 weeks. It is rarely propagated by seed, sow seeds in the spring. Re-pot every year or every 2 years in the mid-summer. Never re-pot during the bloom or following resting period. Re-pot by removing only the loose soil around the roots. Transfer immediately to a wider pot. There is no serious pest or disease problems. Watch for spider mites, mealybugs, aphids, and fungus.